Yes, you read it right. 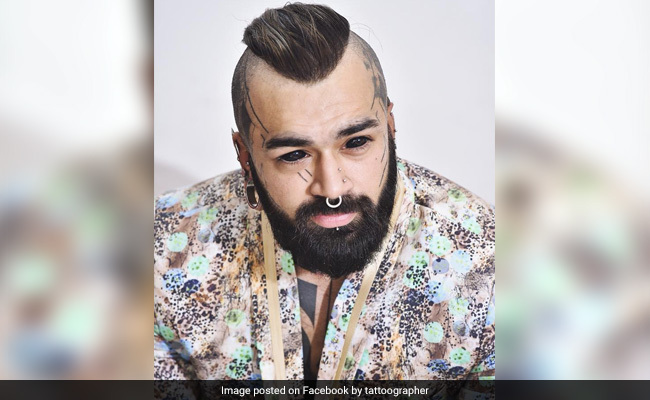 Meet Karan King, a Delhi based tattoo artist who is making the headlines and trending hot on Instagram for his inked eyeballs. Eyeball tattoo’ing, also known as the scleral tattoo’s are pretty new, innovative and relatively extreme. The extreme form of modification involves the injection of ink through needles into the white areas of eyes, leading to permanently dying in different colors. Karan, 28- years old full-time professional tattoo artist and piercer, says- I got my first tattoo when I was 13 as a hobby but soon discovered my obsession for them and at this moment I have uncountable tattoo’s over my body and a total of 22 piercing. 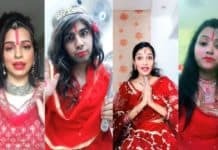 He describes himself as ” “the one in 1.3 billion Indians, the first Indian ever to have the eyeballs permanently tattooed, the first person to have a proper full body suit one piece black work style tattoo”. He adds- you can call me the tattoo artist who possess and creates an elite level artwork with an experience and expertise of multiple countries and over a decade. After finishing his ambitious project of having a full body suit tattoo, he mind started boggling for inking his eyeballs. Since then, he spent months researching and debating for the permanent scleral inking procedure. He says- he took this bold step of eyeball tattoo, once he was satisfied with his homework and convinced his family and friends. The procedure, which cost lakhs, and was done by an Australian Tattoo Artist, who Karan claims invented eyeball tattoo ing, at a tattoo studio in New York, US. He says he wasn’t expecting appreciations for this inking procedure but then he says I was admired and appreciated while he was going through security check-up at US airport. He adds – I never expected such optimistic response and wow reaction on social media for my eyeball tattoo, but i am thrilled with the response. People are liking sharing and complementing my unique, unconventional appearance. and the love i am getting from people across the globe.